Nanny cams are notorious for catching everyone from au pairs to husbands and wives in the act of doing something devious. And while that sounds like a great idea for a show on E! network, in the real world we have rules. And laws. So what do you need to know before you buy a camera? You need to know what laws are applicable when it comes to how you use your Nanny Cam. 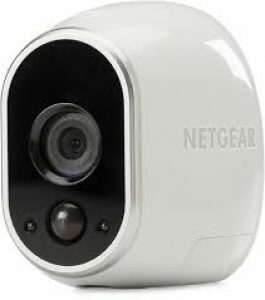 Video surveillance and speech laws: it is perfectly legal for you to have a nanny cam in your home. But there are a few things that you cannot do without first informing your nanny first.You cannot place a hidden camera in a location that is private. Like your bathroom or in a bedroom or private quarters if your nanny is live-in. Several states have laws that can restrict how you use your nanny cam. If your camera has an audio feature you cannot record audio and use it against you nanny. In fact, you cannot record audio at all in the following states; California, Delaware, Hawaii, Louisiana, Massachusetts, Montana, Nevada, New Hampshire, Florida, Maryland, Oregon, Pennsylvania, Illinois and Washington State. You must have the permission of the person being recorded before you can use audio. Ethical concerns: these issues may not be illegal, but if you want to have a successful relationship with your nanny these are things you should consider. When you film an employee, there are always risks associated that could cause harm to the relationship between you and you nanny. In this situations, honesty and openness will always service you well. Tell your nanny when you are putting in the camera, and reassure them that it is for security reasons and not to try to catch them doing something wrong. After you have discussed adding a camera with your nanny, the next thing you will need to know is what kind of camera will work best for you. While we can’t talk to your nanny for you, we are pretty confident that we can help you find the right camera for your home. What Can Your Nanny Cam Do? 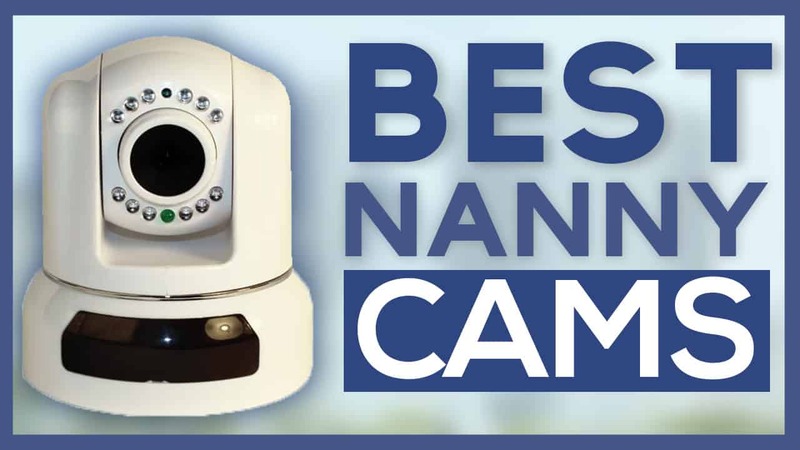 These cameras earned the nickname Nanny Cams because they were originally, and remain, a great way to let you know that your children are safe when you are not home. Even trusted nannies can sometimes make mistakes, so taking extra steps to protect your kids is more than reasonable. It also lets you see if your nanny is spending hours on their phone instead of caring for your children. Which means you can make an informed decision and back it up with factual evidence. By knowing how your children are being cared for when you aren’t there, you can work with your nanny to create an action plan. Which will make sure that they are getting the exercise and support that they need. Depending on your relationship with your nanny, you may have a more casual conversation to just let her know a few things you would like to change. Or if you see something that you don’t like, you may want to give her the boot. What are The Risks Associated with Installing Nanny Cams? Every device comes with some level of risk. Hackers and other nefarious players make a career trying to get into our smart devices. But there are some things that you can do to minimize risk and keep your nanny cam and your kids safe. Register Your Nanny Cam: you should always register any device you buy. It lets you know if there are updates, recalls or security issues that need to be addressed. Create Complex Passwords: this is something you should do for every device or account that you have. We all know we should create complex passwords, but is shocking how few of us really do. If you want to keep your nanny cam, and all of your other devices secure, create a password no one would ever be able to guess. Tighten Up Your Wi-FI: Wi-Fi is easy to hack. If you want to keep all of your devices safe, invest in a good VPN or buy a camera that comes with a built-in encryption feature. There are also more personal risks. If you have installed a hidden camera to try and catch your nanny doing something wrong and you haven’t advised her of the existence of a camera, you may sour the relationship between you. 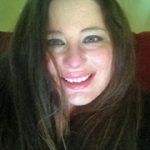 But to be honest with you, if you are putting in a camera because you think that your nanny is doing something wrong, you should probably find a new nanny. The last thing you would want to see is someone harming or neglecting your child when you could have prevented it. Nanny cams should be a way to check in and work with your nanny to give your children the best experience. Using them to “spy” on someone without their knowledge will never end well, and could end in litigation. If you decide that you are ready to add a nanny cam, these are our top ten cameras. 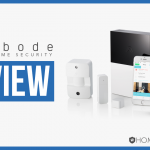 Each one will be able to provide you with a quality camera that will allow you to keep your home and your little ones secure. 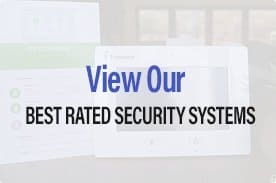 If you can excuse the overuse of bird types, you will find an easy to use security camera that comes with a QA code that makes setup a breeze. It is up and ready to go within a few minutes, which lets you start using it immediately. The Falcon Watch HawkCam Pro has a two-way audio feature that allows you to talk to your nanny or you kids. You can also download the app and watch live streaming video. The HawkCam can even provide clear video when it is dark. It is also small enough to fit pretty much anywhere. The camera is motion activated and will start recording when it detects movement. It also has a feature that includes the five seconds before the motion was detected. 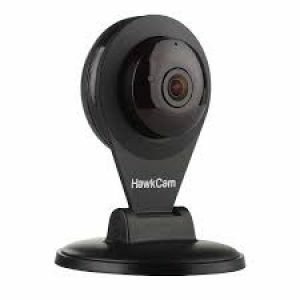 You can also capture more footage with the HawkCam’s 1080 HD wide angle lens. It also has a lighting sensor built in that will automatically switch to night vision when the light is dim. If you really want to go full on spymaster, this is probably the hidden camera you have been dreaming of. It looks like a simple clothes hook but it’s really a camera. It isn’t a great camera, but what can you expect when it fits in a clothes hook. It lacks things like storage and battery life. But it can take a good video and let you see what happens when you aren’t home. This one is a little sketchier than some of the other more obvious cameras, but it can also double as a place to hang your coat. You can get one of these cameras for around $15 bucks, so you won’t have to pay too much to see what happens when you are away from home. You can use hidden cameras so long as they don’t have an audio component, so if you just want to see if your nanny is spending all day texting this is a good way to find out. But it only has a battery life of around two hours. So you may not be able to see everything you want to see. If you think you have an issue with your nanny and you are looking for proof you may want to check out cameras that can operate 24/7. If you need something that is bigger than a coat hook, the UOKOO Wireless Surveillance Camera is a good place to look. It can pan 360 degrees around a room, which means it can catch everything that happens. It also has a 120-degree tilt, you can control both the pan and the tilt remotely and view the live footage using an app. This camera also comes with two-way audio, so if you see something you don’t like you can address it from your location. You can also store a good amount of video, like 64GB of storage that you don’t have to pay extra for. In addition to the 360 pan and 120 tilt, you can also zoom up to 4x to get a close up look at what is taking place. It has a decent night vision feature which is great if you have a baby. Or you want to know what the dog is doing at night. If you kids are a bit older, this indoor/outdoor camera will let you see what they are doing both inside and out. Able to withstand temperatures of 14 degrees Fahrenheit to 122 degrees Fahrenheit, Arlo covers all of the areas where you kids can be found. Arlo is also wireless and battery operated, which makes it easy to place it anywhere in or out of your house. You will need to connect the base station’s power cord and use an ethernet to connect to the router, but that is doable. You can have it up and running within 20 minutes. The camera is weatherproof, so if you want to place one outside of your home, you can. You just need to make sure it doesn’t go more than 300 ft from the base station. 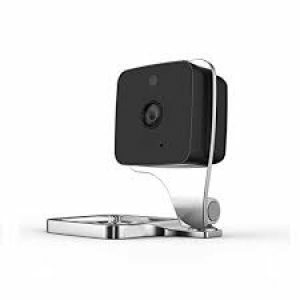 Arlo connects to the base magnetically, so you shouldn’t have a hard time getting it attached. The camera will record video that is stored on a cloud-based server. You can review clips for up to seven days before they are deleted. If you want more time or space you can pay to upgrade your service. Because the camera is battery operated there are some limitations when it comes to storage. If you only view the 10-second clips you can get around six months of battery power. Viewing longer videos will drain the battery more quickly. The Arlo camera gives you some options that traditional wired cameras can’t. 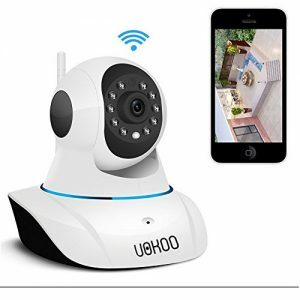 You can have indoor and outdoor cameras that let you get a better view of what happens when you aren’t home. While there are some battery limitations, if you want pretty decent video the Arlo can get the job done. If you are dedicated to the idea that having a hidden camera is the best way to check in on your kids, then this is camera may be the one you want. It packs a lot into a pretty small space. It comes equipped with a 160-degree super-wide angle lens and it has infrared heat detection, which is kind of super cool. Battery operated you can expect a 4-month battery life when it is in stand-by mode. The Qcam can detect everything, motion, heat, sound and vibrations all of them will turn the camera on. 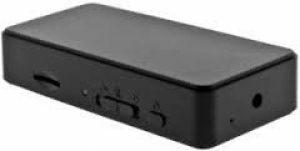 Using the motion detector feature, the Qcam can also extend the battery life by automatically shutting down when no motion is being detected. You can also schedule times for the camera to record, which also saves your battery. It is also designed to fit in with your normal decor. So no one will know that its a camera, it will just look it was placed there to be decorative. It’s plain design it is made to be overlooked. But while no one is looking your Qcam can store hours of footage. When you want to view the footage or save it, you can transfer the data via a USB cord which is included when you buy the camera. If you like the Qcam, but you want higher quality videos, you can upgrade to the Qcam HD. It has all of the features that come with the original, but it also offers infrared lights that improve night vision recordings. The battery that comes with the HD version is also rechargeable. If you want a more versatile camera that can venture out of the nursery, the D-Link Pan and Tilt is a camera that can grow with you. It has a simple design that can fit anywhere in your home. It is small enough to blend in but powerful enough to let you know what is going on in you home 24/7. 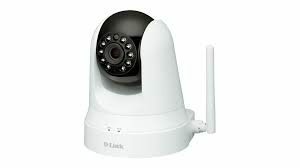 If you have a D-Link router set up will be easy, as soon as you connect the ethernet the camera will automatically connect using your WiFi. By connecting to your wireless internet you can see what is happening in your home in real time using an app on your smartphone. D-Link also comes with HD resolution and night vision. You also get a PIR sensor that excels at motion detection, so you can be confident that if something moves within the scope of your camera the D-Link will catch it. You can also set motion detection areas by accessing the grid on your app. You can just tap the areas that you want to be covered. While the D-Link is more of a hybrid when it comes to nanny cams, it does a more than admirable job of helping you keep an eye on what is happening in your home. The pan and tilt features give you a wider range of vision. Which means ou can see more of what is happening without moving the camera. I really try to be impartial when it comes to devices. To show you the good and the bad and give you the tools to make your own informed decisions. But when it comes to this hidden camera I have a pretty strong opinion. It looks like an alarm clock from the 1980’s. And while I may have been a baby in the 80’s this legit looks like it was in the first Back to the Future movie. If I saw this in someone’s house, I would probably never know it had a camera in it, which means it is doing its job. But I would wonder given all of the alarm clock options in the world, why would someone choose this one. Maybe for sentimental reasons? Okay, now that I have stated my feelings about this old school (I am being kind here) alarm clock/nanny cam we can discuss the features. This is a hidden camera. It works like an alarm clock. But in this alarm clock is a hidden 2048 X 1536 pixel camera. It comes with a 32GB memory card that stores recorded video, which means it can stay incognito. Which is probably a good thing. There are a few things you can’t do, like schedule video. 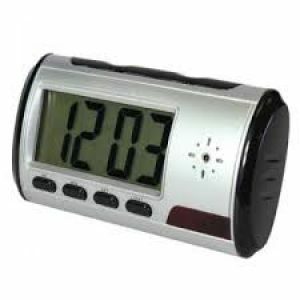 There is also no audio with this alarm clock/spy camera. No audio is not a bad thing as it is against the law in certain states to record audio when you are using a hidden camera. It is motion activated which is nice, it saves on your battery by only turning on when motion is detected. At least the insides are modern. If your nanny doesn’t get too curious about that weird old looking alarm clock in the nursery, the video recording will work just fine. In terms of what areas of concern (other than the appearance) you should know about, this alarm clock/camera deletes older video when it needs to make space. So you will need to do some house cleaning to get rid of videos you no longer need. You will also need to charge the battery often. It taps out at around 10 hours. So if you are going to be away longer you may not get all of the recordings that you need. You cannot connect to Wifi using this alarm clock (let me just say that you can connect alarm clocks with Wifi in this decade), so you have to put the memory card in your laptop to view your footage. Now for something modern! Like most of the products that come from Nest, this security camera is sleek and elegant. You can choose to mount it, or you can leave is sitting on a flat surface. Either way, it will fit in nicely with your decor. While it may seem pricey, this is one time that you should spend some money. The return you will get on your investment will make you glad you decided to splurge on some great technology. And now that Google owns Nest you can look forward to lots of cool features. 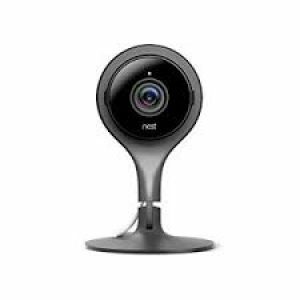 Nest Cam comes with a full 1080p video resolution, a sleek rotating base, and an app that is well designed and easy to use. You also get night vision, two-way audio, sound (remember you have to tell your Nanny before you record sound that you are recording it) and motion alerts. And last but not least you cannot forget the 8X zoom. While they don’t market the night-vision feature it is one of the best when it comes to quality. The detail that the Nest Cam can pick up is better than you might expect. While motion delays happen (they happen with all cameras) Nest tries to minimize the time it takes. What makes Nest Cam a good nanny cam, also makes it a bad security camera. 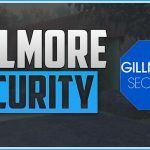 Security cameras are designed to send alerts when they detect motion. Nest Cam doesn’t do that. They send alerts every 30 minutes. But if you are using it as a nanny cam and not for security reasons, you can get what you need. Nest records video and the app allows you to see a live streaming video. So if you just want to see what is happening in our home, the absence of alerts shouldn’t be too much of a concern for you. The app is straight forward and easy to use. You can use it engage the audio feature, review your video history or view the live feed. When it comes to storing videos you can pretty much get unlimited storage. Nest connects to the cloud, so you can pretty much get what you want when it comes to stored videos. This camera has a lot of awesome features that makes it our choice when it comes to nanny cams. If you really want to hide a camera this camera is the one to buy. You can turn your current decor into a nanny cam. You just need to make sure that that you place it where it has a clear view of what you want to be recorded. There are some oddities and some concerns when it comes to the Camscura. First, because you place it in another device, you will have to make sure it doesn’t shift. It turns on when it detects motion or sound if you don’t set a recording schedule. While sound is a way to turn the camera on, there is no audio feature. So the rules that govern audio recordings would not apply. It can be difficult to know when, and if, your camera is actually taking video. So you have to rely on the motion detection feature and your ability to hide it without obscuring its field of vision. Another problem with this camera is that the amount of storage is a big fat zero. No storage at all. So you will have to purchase your own microSD card. It’s not a bad camera. And it’s not stuffed into an outdated alarm clock (which is a good thing). It is small and easy to conceal. And the pinhole camera cannot be detected by any person, maybe ants. But I doubt they would tell anyone. This camera may look small but in size, but with a 155 degree super wide angle this IP camera can show you more than almost any other stationary camera. When it comes to nanny cams, being small is a benefit. They can fit in anywhere, and should you want to go the hidden camera route they are pretty easy to hide. This camera comes with an SD card that records video on a loop. You should make sure you review video withing a day or two, the camera will record over the existing video if the card is full. Motion activated the camera will only turn on when some kind of movement is detected. Once it senses motion it can send an alert to your phone and send you an email. There are some other nifty features that can enhance your video experience. You can see clearly for up to 30 ft in the dark, which is pretty good for an indoor camera. Being a parent is hard. And it is even harder to leave your children with someone, even someone you know. Nanny cams can provide you with a level of security, especially if you children are young. But it is also a delicate matter when you are recording someone without out their knowledge. When you are considering adding a camera, you should take into account how you would feel if someone took video of you without your permission. That is how your nanny will feel. So if you want to have a good relationship with your nanny or babysitter, you should tell them first. Will you lose the element of surprise? Yes, and you should. Trusting someone with your children is a big deal. It is also a two-way street. Your nanny needs to trust you as much as you trust them. And not disclosing that you are recording them is not the best way to earn and keep trust. If you are that concerned about your childcare provider, you should let them go and find someone else. This doesn’t mean you can’t have a nanny cam. They do have the benefit of making sure your nanny is taking care of your kids. But they work best when everyone involved knows why they are there, and that they will be recorded.